﻿ Real Madrid 1-1 Athletic. Ronaldo saves a point near the end! 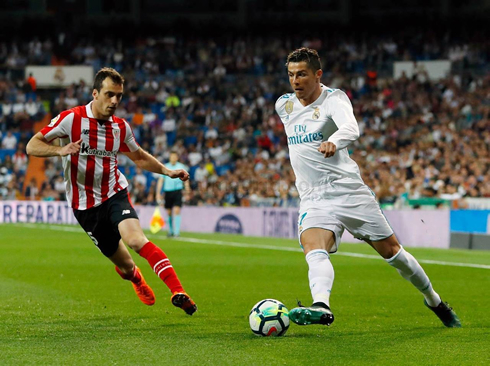 18.04.2018 » Real Madrid 1-1 Athletic. Ronaldo saves a point near the end! Real Madrid dropped 2 points in La Liga tonight, after a 2-2 draw against Athletic Bilbao. 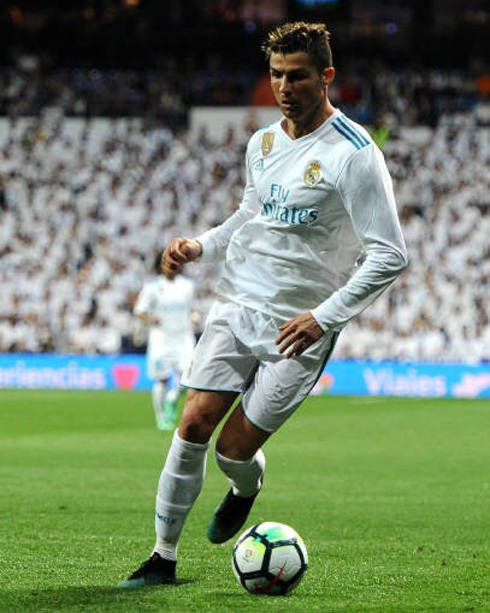 The Merengues found themselves trailing throughout most of the game, but a Ronaldo goal in the 87th minute rescued a point for the hosts that helps securing the 3rd place in the standings. 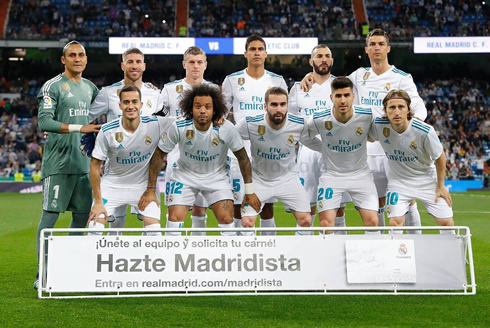 Real Madrid started a strong lineup with Zidane hoping to bolster his team's confidence in the run-up to their massive Champions League tie, but there was an alarming lack of creativity in the final third. Ronaldo, Benzema, Modric, and Kroos all started, with Vasquez and Asensio on the wings. Quite worryingly, this performance was a call back to earlier this season, with the countless crossing and the lack of goals. It's the 12th time this year at home we haven't been able to win. With Bayern now exactly a week away, Real Madrid will have to dig deeper to make a dent against the German giants. But just when all seemed heading for a loss, Cristiano Ronaldo came again. This time, it was a bit less direct but his quick backheel was able to deflect Luka Modric's shot into the back of the net and set the score in 1-1. Dani Carvajal was the man of the match for me as he was everywhere during the match in both attack but especially in defense when the team went forward. Good to see him playing at his best level in the dawn of a big challenge in Europe. Cristiano Ronaldo next game for Real Madrid is on April 25 of 2018 against Bayern Munich. You can watch Juventus live stream, Bayern Munchen vs Real Madrid, Real Sociedad vs Atletico Madrid, Burnley vs Chelsea, Leicester City vs Southampton, and WBA vs Liverpool, all matches provided from our live soccer game pages.